Ahead of an official unveiling at the 2019 Geneva International Motor Show, Ferrari has revealed its successor to the 488 GTB. 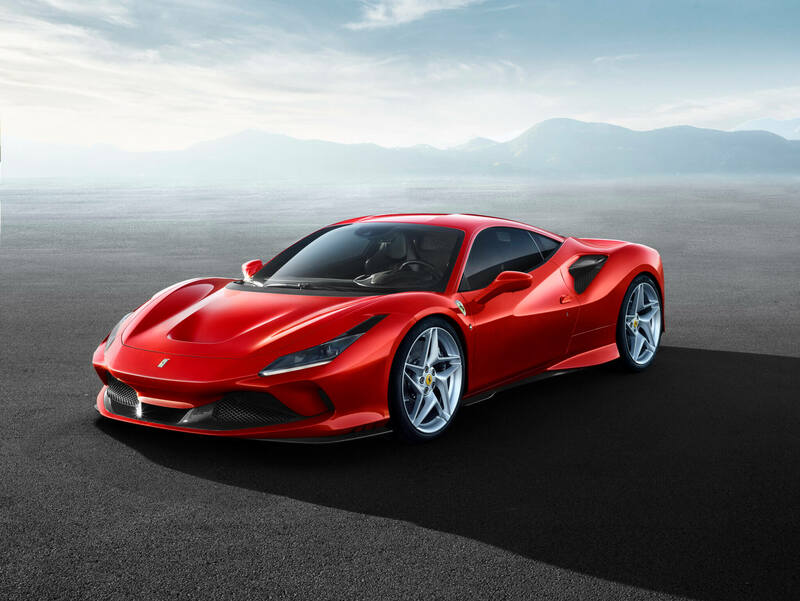 Called the F8 Tributo, it takes inspiration from the 488 Pista in order to be the fastest and most powerful mid-engined V8 Ferrari production road car ever. Ferrari has chosen the name because it sees the car as a tribute to the V8 engine. 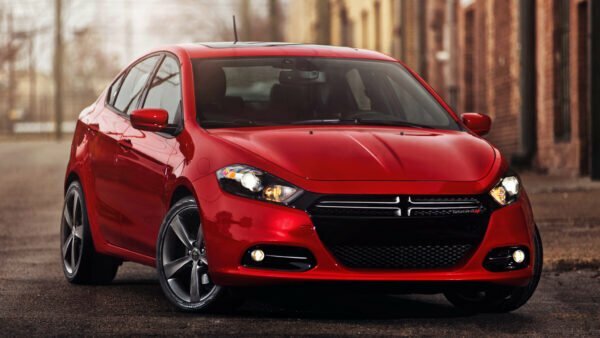 The 3.9-liter V8 won the International Engine of the Year Awards in 2016, 2017, and 2018, and followed that up with a special title of the best engine of the last 20 years. 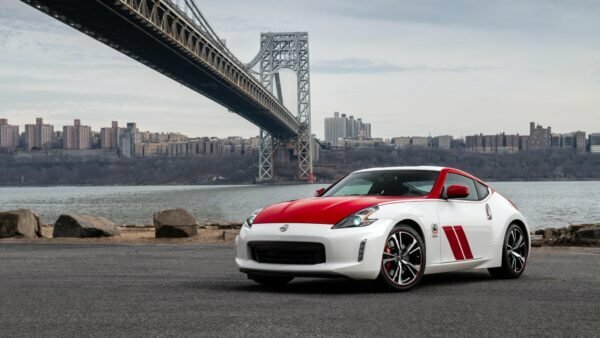 As rumor has it the next version will be a hybrid, it’s certainly worthy of a tribute. 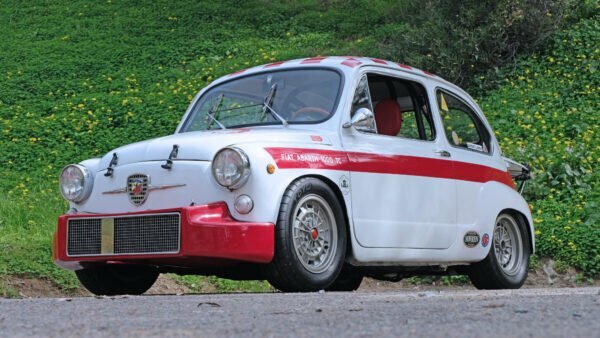 For the Tributo, Ferrari has wound the engine up even more. 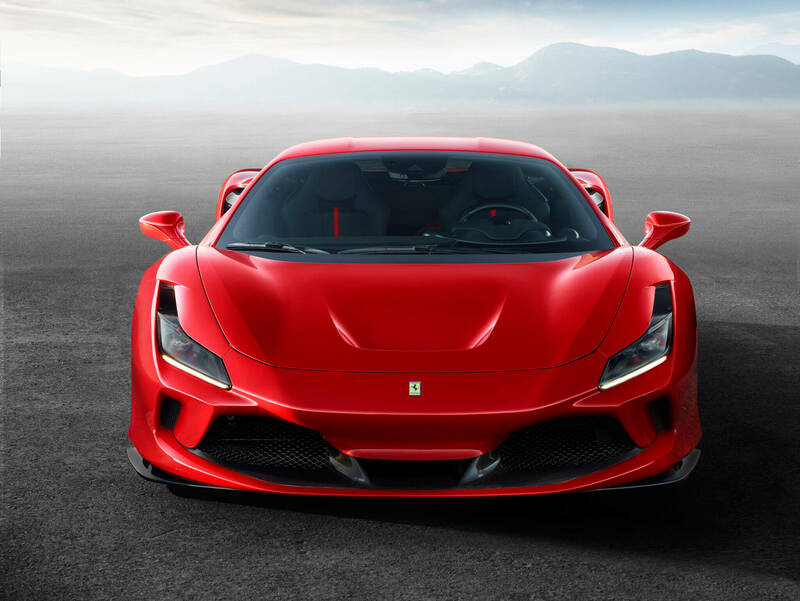 It now produces 710hp and 568lbft, equaling the track-focused 488 Pista‘s output. 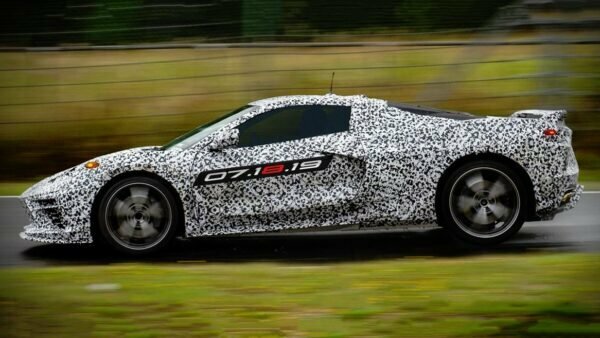 That likely means Ferrari has carried over the intake and exhaust modifications from the Pista, along with the titanium connecting rods. The F8 won’t be quite as light as the Pista, but there’s a trade-off in everyday livability. Weight reduction, including a Lexan engine cover in a nod to the F40, does save around 90lb over the 488 GTB though. 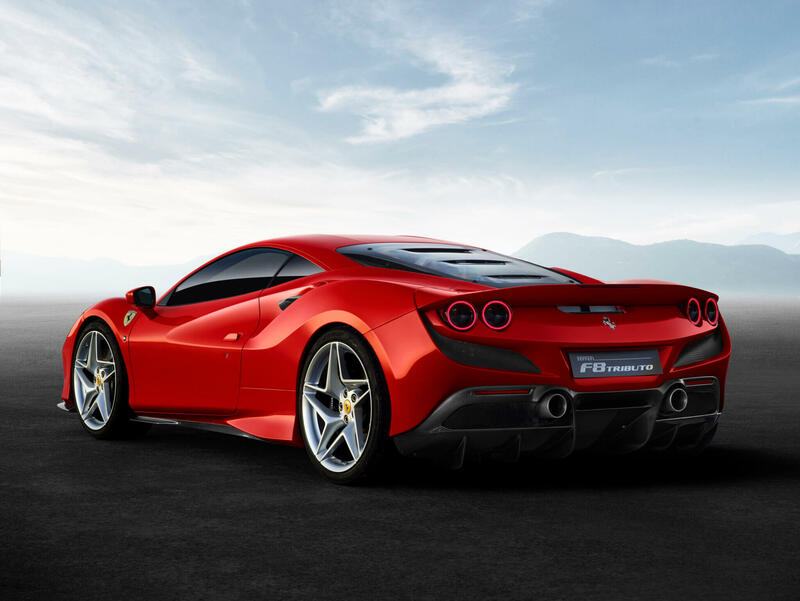 Ferrari quotes a lower bound for the car’s dry weight at 2,932lb. 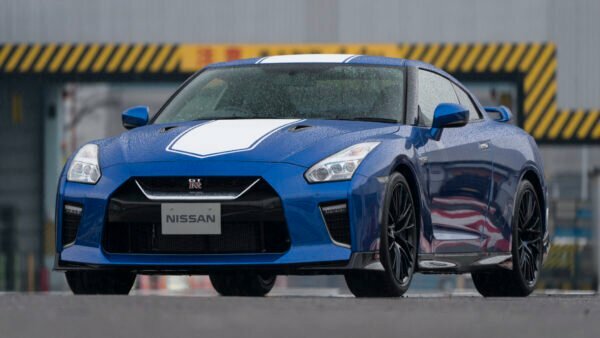 This translates to a 0-60mph time of 2.7s and a 211mph top speed, matching the Pista in both instances. 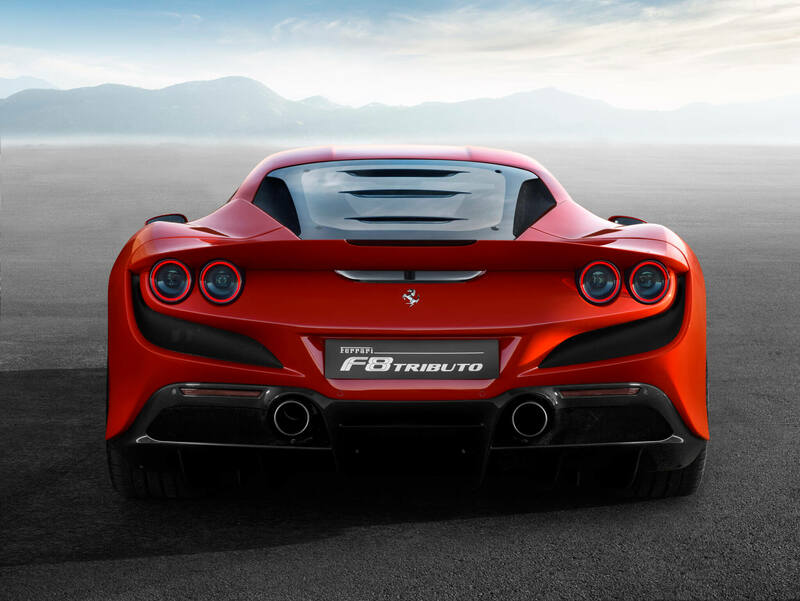 Indeed the F8 Tributo takes a lot of inspiration from the 488 Pista. Most obvious of all is the adoption of the “S-Duct”, which effectively amounts to a front wing. 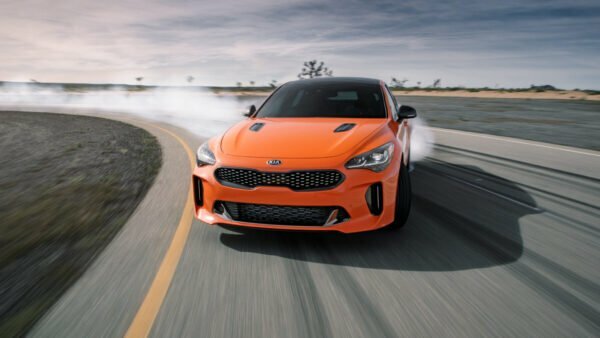 The S-Duct channels air into the front intakes, under a section of bodywork on the nose, and then up in front of the windshield to meet the slower-moving upper layer of air. The F8’s version is not quite as wide as in the Pista, but nevertheless contributes to 15% of the car’s total downforce increase over the 488 GTB. Other aerodynamic features carried over from the Pista include rearward-angled front radiators and relocated dynamic engine air intakes. This help the Tributo achieve 10% better aero efficiency than the GTB. 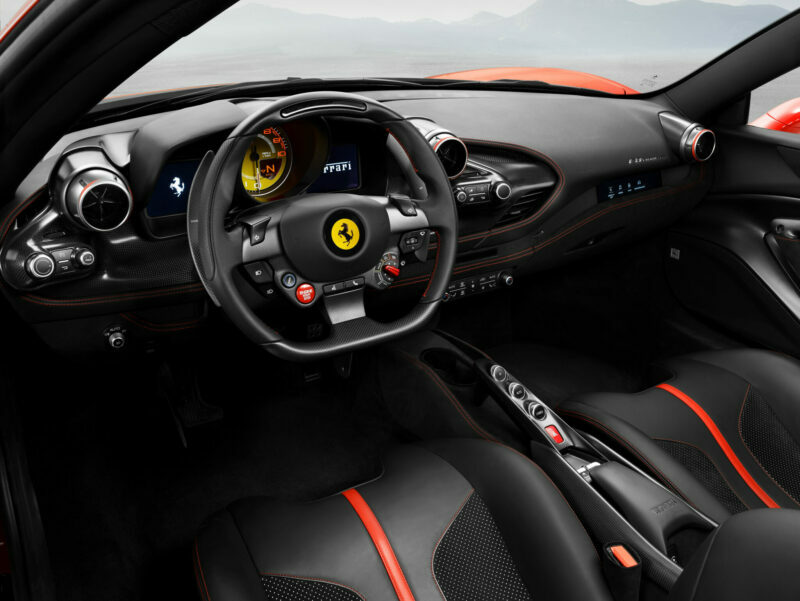 Ferrari has redesigned every part of the dashboard, door panels and central tunnel. It retains the essential layout of the 488, but otherwise every component is new. This includes a new steering wheel and controls, but also new round vents and a reworked instrument cluster. As well as a glovebox — missing from the Pista — the passenger now also gets a seven-inch touchscreen display. 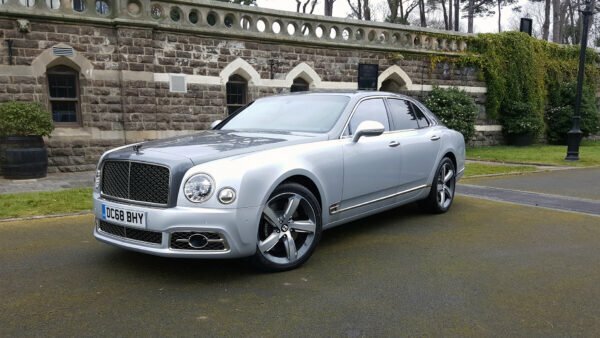 This can display performance information, but also gives control for the navigation system and media. 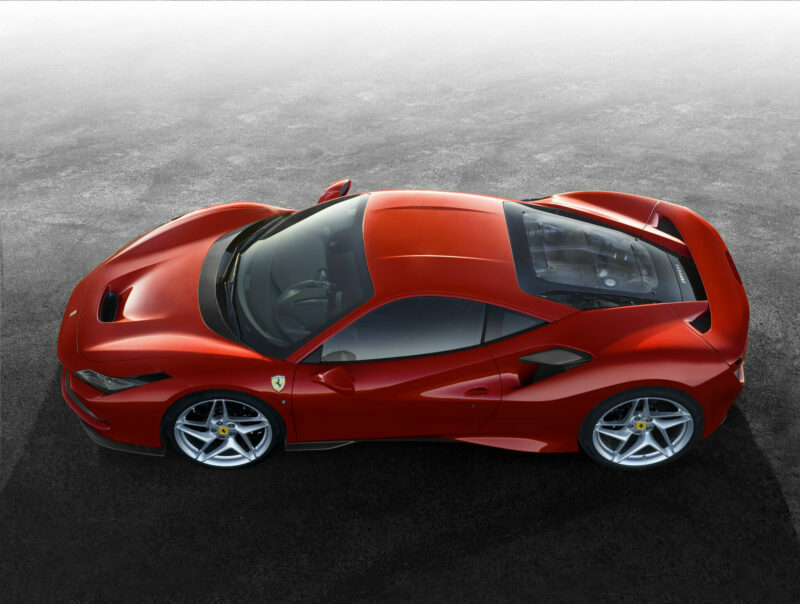 You’ll be able to catch the Ferrari F8 Tributo at the Geneva Motor Show on March 5, where Ferrari should also reveal the car’s pricing.